Many of Long Island’s universities have a hidden perk: a stellar art museum. Despite high-quality works, elegant environments and proximity, local residents oftentimes forget they’re here, or don’t realize these cultural gems exist at all. Those who want to spend an afternoon exploring inspiring works of art don’t need to spend the time nor the money trekking into the city. 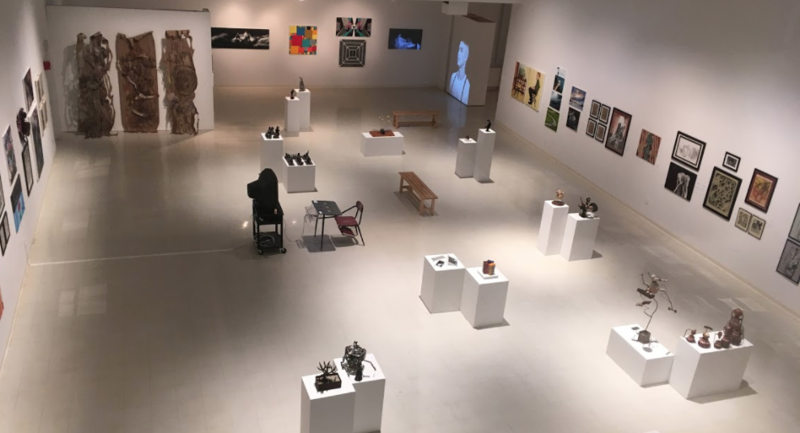 Check out a few of the most noteworthy Long Island college art museums on higher education campuses throughout Nassau and Suffolk. They’re all open to the public—and free. The esteemed 5,000-square-foot Paul W. Zuccaire Gallery at the Staller Center for the Arts is presenting the juried Senior Show, to include paintings, sculpture, ceramics, prints, photographs, digital media, mixed-media installations and works on paper, until May 18. Faculty members of Stony Brook’s Art Department select from among the best work of this year’s graduating class. The gallery is open Mondays through Fridays from 12–4pm. It is also usually open before Staller Center performances and during intermission. Click for information about the Senior Show.